As you may know, I started making my own dish soap a while back. It took a bit to find the right ratio so it was thick and still worked good. That venture was nothing compared to finding out what worked for my dishwasher! Let's start at the beginning. The water at my house is very hard and has lots of iron in it. It doesn't taste bad, but we definitely have our limitations ... like we can't use it to brew (a big pain in my rear)! I tried lots of different recipes that were out on the web, they would always work for about a week, but we would end up having lots of spots and my dishwasher would get cloudy after that. Ugh ... back to the chemicals! I honestly felt like giving up on this one and just blaming our water. 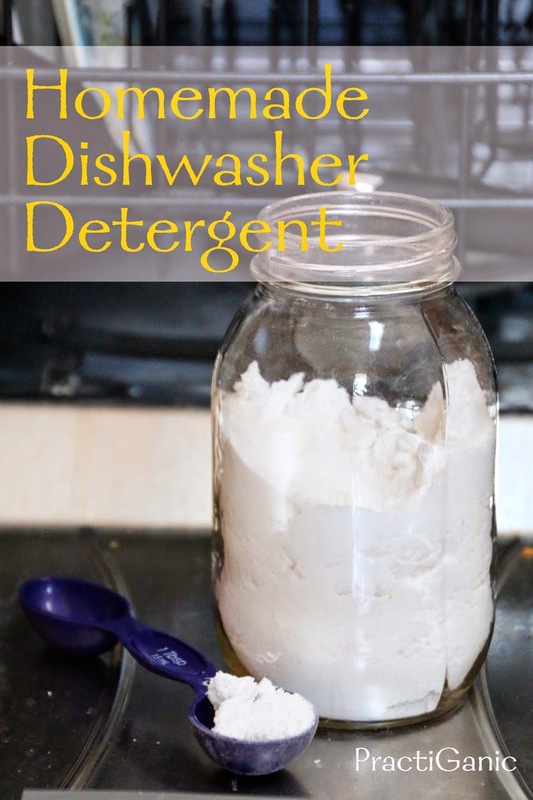 However, every meal I would watch the kids eat and I couldn't help but cringe a little knowing that I was using dishwasher detergent that I didn't like (even if it was 'safe'). 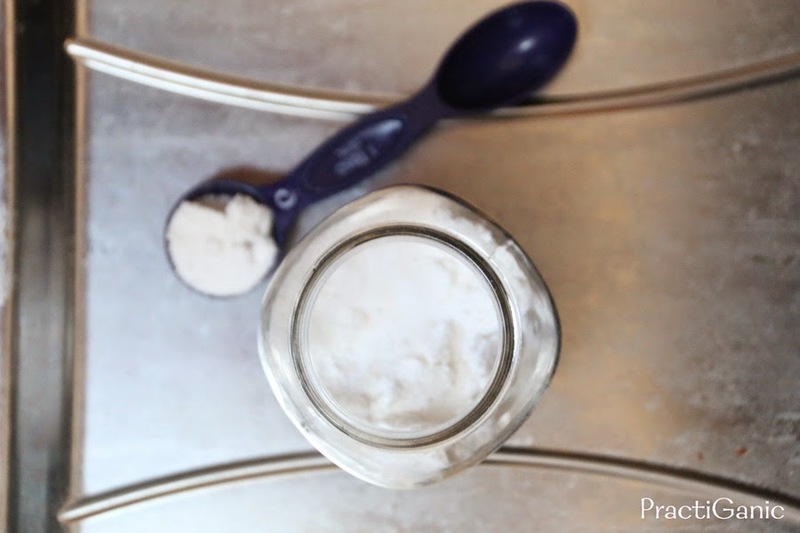 I wanted a simple homemade detergent with very few ingredients. This would also save some money! I decided to give it one more try ... the good 'ol college effort and of course, it finally worked. Does that happen to you? Right when you're about to give up on something you figure it out?!? Happens to me ALL of the time! Lesson learned (again): never quit! What finally worked for me was not to use salt in my mix. I also always have white vinegar as my rinsing agent now. I have had spotless, clean beautiful dishes every time and my dishwasher is looking great! So, if this recipe doesn't work for you, keep adjusting it until you find what works best with the water in your area. If you need, try a little salt too. Citric Acid is a new ingredient for me. I haven't used it in anything before. Don't be intimidated it is a very safe and common ingredient. It can be found at many hardware stores and even natural food stores. As usual, I got mine online through Amazon. 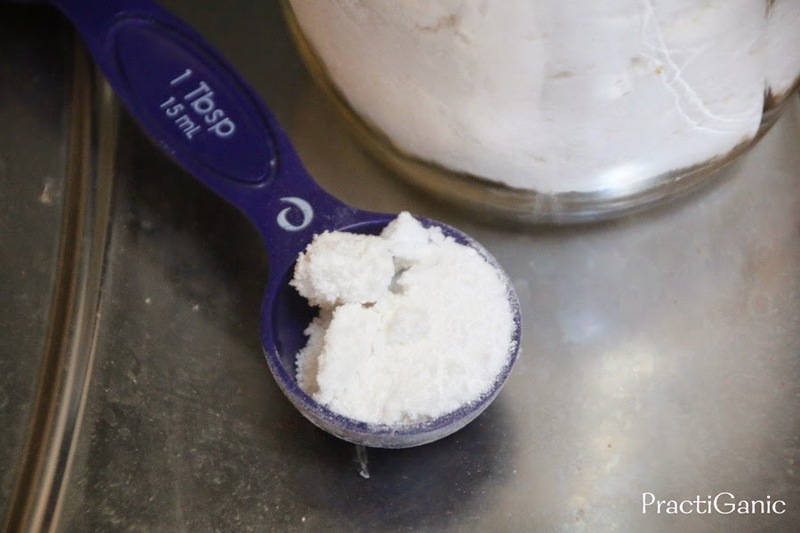 Mix all ingredients in a bowl and keep them in an airtight container. I like using a mason jar. When ready, add 1 T of mix per load. Again, I also fill my rinsing agent compartment with white vinegar.